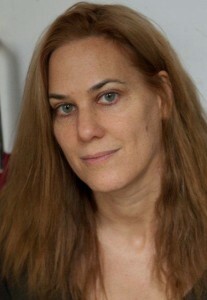 Kate Christensen is the author of six novels, most recently The Astral, which was published in June. Her others include The Epicure’s Lament and The Great Man, which won the 2008 PEN/Faulkner award. She has written reviews and essays for numerous publications, including The New York Times Book Review, Elle, Harper’s Bazaar, and the Wall Street Journal. Q (Meg Pokrass): What do you do when you feel stuck or uninspired and does it work to trick the brain into working? I often feel stuck and uninspired; it’s part of the job of writing as I know it. The only thing that gets me writing is sheer discipline — there’s no trick I know of except to Just Do It. I open the file that contains my novel every morning, often with a cross between bleary disregard and intense fear. Then I go through an intricate, highly disorganized series of warm-up procrastinations — email, online Scrabble, household chores, buying things online, paying bills, taking walks with my dog, making soup, and so forth. Sometime in the mid-afternoon, a focused anxiety sets in — I realize that if I don’t start now, I won’t get it done. I jump in when the fear of not writing conquers the fear of writing. And thus I fulfill my word-limit quota every day until the first draft is done. Suggestions for making characters believable? Believe in them yourself. Let them jump the tracks of the story and drive the train themselves to wherever they want to take it. Feel what they feel as if you were in their bodies so viscerally your entire awareness of yourself is submerged as you write them into being. Do you know who they are before you write or do you find out who they are in the writing? Do you already know these people? In the case of first-person narrators, I have meditated on them for a long time — months or even years — before I start the novel. Five of my six novels have been written this way — someone’s voice, not my own, starts running in my head, and as it does, his or her circumstances and desires become increasingly clear to me. Each novel starts when something begins to shift and change in their lives, to cause them to turn outward and react and affect other people, which sets a plot in motion — this gives me a running jump into their narrative. A novel’s first sentence — “All the lonely people indeed,” or “I stood alone at the front of the boat” or “Toxic water streamed with gold like the belly of a turning fish: Sunset over Newtown Creek,” emerges from a long-term cohabitation in my skull with the narrator — and from the first sentence, it’s their show. What makes us care about characters? All of my lifelong favorite novels contain characters who seem so vivid and complex and real, I remember each novel in terms of them — not the plot, not the stylistic devices, but the people in them. I can’t forget them, I continue to think and worry about them after I finish the book — they burst free of the novel and assume independent lives. I remember them as if they were people I’ve known well and will see again some day. They are their novels. The House of Mirth is Lily Bart — Middlemarch is its people — A Handful of Dust is poor Tony — The Horse’s Mouth is Gulley Jimson; Jude the Obscure is Jude and Sue, Housekeeping is Sylvie — and so forth. We care about the characters who make us feel less alone in our own flaws, yearnings, and secrets — not the noblest or nicest or most exemplary characters, and not the ones who exist primarily to manifest a plot or stylistic strategy, but the ones who are most like us, the ones who think and feel and talk and screw up of their own accord. The Astral came from an original, early, inspiring (to me) image of Harry. His character and voice first arose in my imagination a couple of years before I started writing the book. I saw him as a well-intentioned, hapless everyman poet who’s been turned upside down by things that have happened to him before the novel begins; it opens with him in mid-free-fall. He’s been cast out by his wife, and he’s drifting around North Brooklyn, lost and suddenly alone. Harry first occurred to me when I was married and living in a house in Greenpoint I owned with my then-husband. Just before I started writing the novel, my own marriage ended, and I found myself adrift in North Brooklyn, feeling lost and more alone than I had felt in many years. My novels have an uncanny way of predicting, echoing, or paralleling reality in ways I can never foresee. Love the comment about first person narrator and having that voice running in your head. I so get it.